There's always another level up. There's always another ascension. More grace, more light, more generosity, more compassion, more to shed, more to grow. It is with great joy that I share the benevolent, and nonetheless intense, energies of this new energetic month, for even though, as humans, we tend to separate, this month is a continuation of what we began to experience with the first Eclipse in Cancer, and in general during all this summer, and that will increase with the Lion’s Gate in August 8th, reaching its peak with the New Moon Solar Eclipse in Leo. This month marks a key point in our evolutionary journey, it is indeed the end for many who are still trying to sustain both opposite worlds, for when we consciously decide to step into this new ascended reality, nothing will ever be the same. All months hold precious gifts, if we are willing to see and embrace them. This new month brings us the gift of stepping into a new reality. If with the last Eclipse in Aquarius we had the opportunity to consciously release what no longer serves, for us as humans, we always tend to get attached to old energy, unconsciously repeating old habits/patterns, now with the coming of the Eclipse in Leo, we are being invited to become empowered sovereign beings, seeding light consciousness rather than fomenting the old energy, for the return of light consciousness can only be possible if we first hold this same frequency, within. This is not an ending either a beginning, as the Universal 10/1 - 19 reduced - frequency of this month reminds us, for as you know, it is in the middle that we coexist and experience change, for all is happening at the same time, and when we believe something has finished, it is the new seed of what is already emerging, we just have to know where to look and shift our focus from poverty/victimhood/negative consciousness to a wider one, realizing that all is in truth an opportunity rather than a curse. The energies from this month are going to be the new seeds for us to grow our true soul desires or keep feeding our human fears and illusions, as always, all choices are respected, and served equally, within Creation. During this summer, we have the opportunity to move from fear consciousness and step into a new way of living, for where we have chosen to dwell, there are no limitations and in the moment we create them, we automatically lower our frequency, returning to a restricted and illusory reality. 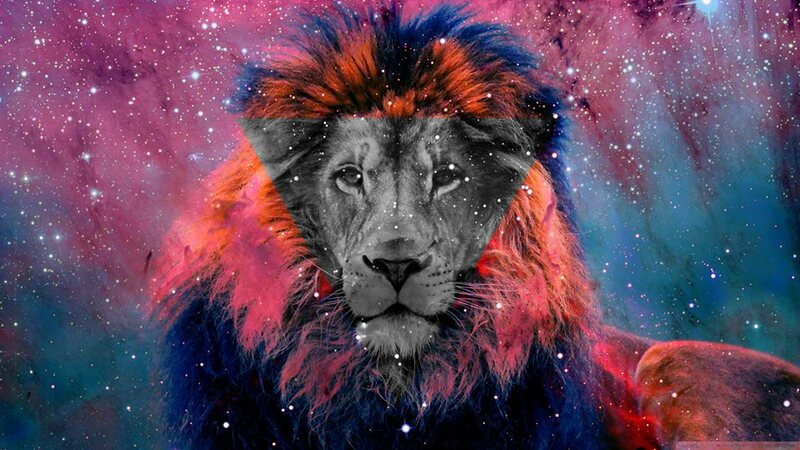 As we approach August, the fiery energies that we have been feeling since July, will increase with the coming of the Lionsgate, on the 8th of August. During the Lion’s Gate our Planet will align with the Star Sirius, the Galactic Center and with many sacred places on Earth, as it is for example the Pyramid of Gyza, giving us the opportunity to connect with the Cosmic Heart and other Star companions that have been following our soul evolution, for our cosmic family from Lyra, our forefathers, and Sirius have been assisting in the awakening of humanity for a long time, especially after the original Adamic DNA was manipulated - impeding us to fully be aware, as other cosmic civilizations are, of our True Divine Essence. This month, and especially with the coming of this Fiery wave, is going to be challenging for those who are working on the lower layers of their egoic self, for the ego can no longer coexist with the higher frequencies we are receiving and the more resistance we may have to let it all go, the more we can suffer from getting attached to human illusions and/or fears. This passage will serve in many ways, for some, it will be a phase for connecting with their star family, for others it will help them dissolve more of the old, it is all according to where you are in your unique path. The Lionsgate is a very important galactic opening, for the portal travelers, starseed souls, and for everyone whose connection with Lyra and Sirius remains strong, will have the opportunity to establish conscious connection and begin to use their precious assistance to continue the process of DNA reconnection and activation, for without the second one there can be no possible integration. Our Sirian family left in many starseed souls many codes within their DNA for when they were ready to evolve and begin to decode them remembering the ancient wisdom - once lost due to the manipulation of our original DNA. To understand our connection with these star systems or civilizations, first it is pivotal to have some authentic information, which can only come first from within, about the galactic history of our Galaxy. There are many who separate, claiming they come from Pleiades, Sirius, bringing confusion and separation, when in truth, what truly matters is where we are now, for it is only in this moment that we exist and not embracing it as well as our physical realm, will be delusional. I am not judging or saying these people are wrong, I am simply saying that the mind, as well as any other part of our body, gets sick, if we keep feeding illusions, and it is our task to become aware when this occurs and do whatever we can to recover. The history of our Galaxy is very profound and I do not have the time required to write in depth about all this. However, sharing at least the basis may help many to understand that there is no separation between the many different star systems. Life in our Galaxy began in Lyra Constellation, these were highly 12D evolved beings birthed by the Elohims. After a time, this civilization split due to disagreements, for while some desired to dwell in the Light, others began to separate from it. It was then that the so-called wars between Lyra and Orion began, a war over consciousness that ended eons ago and that led the ones who still live in unity to leave Lyra and began to colonize/create other places, such as Vega, Pleiades, Sirius etc. Therefore, it is why it is so important to commune with our God Self to know about our history, human races, and many other things that are essential if we desire to know our Galaxy and true origin. I understand it is not always easy, but as it was in my case, obtaining things from within, before searching or reading it outside, makes all the difference to truly discern about what we read, for we may fall into the trap of making what others channel ours, and then, we are not seeing the Truth by ourselves. There is no separation; we are all, or most of us, coming from Lyra or as humans, at least having within our DNA many star essences. Another thing is that the soul chooses only to incarnate in one specific civilization, but once one incarnates in a human body, the body will always have genetic memories and patterns that cannot be erased. At this unique time, and especially during this month of August, we have the opportunity to remember not just our true galactic history and origin, but to remember unity consciousness and what life within Divine Love means, for Lyrans, our creators, are there to remind us the importance that respecting the Law of One has for All who desire to live a free, sovereign, peaceful and respectful experience within Creation. On the other hand, Sirians are also there to assist those who are working with the conscious inner work of DNA reconnection for they were pioneers in the human genetic project, which was supervised as well by the Lyrans, and they are ones who know all about how to decode our original 12 DNA strands, something that many of us are working at the moment, for without this constant inner work, the physical body as well as ourselves, cannot truly evolve. There are many who focus only in the physical connection, however, conscious connection with our star family is done from within, by remembering who we are, by searching within instead of obtaining information from outside and above all, by clearing our mental and emotional bodies before we fall into delusional traps. Contact is made by inner knowing, by telepathy or simply by conscious interaction, if for example you are clairaudient or are one who can receive in a similar way. As I always say, we all are unique and if we have our mind healthy, we will know when we are receiving true guidance and making real contact or when we are believing our own mind creations, and hence, illusions. At a time of profound integration, where we are communing with the Illuminated Realms as well as with many beings that have been assisting us for eons, I was guided to share a bit more about the importance that clearing our minds of delusions has on our evolutionary journey, for it is pivotal if we desire to know if we are receiving authentic guidance or are being fooled by our ego. I understand there are many phases as we ascend in which we will experience different delusions, and there is nothing wrong with this, for this is precisely what helps us grow and discern what is real from what was part of our mind creations. There are many, and like I always say, it is fine and we all at some point have passed through these phases, whose minds tend to become ill with fake information and delusions. Therefore they are not able to distinguish, for they are not conscious, from where their "guidance" is coming from. When this occurs, and if I say this it is because once it happened to me years ago, for I have been doing, and still continue to do so, the proper inner work for more than 10 years now, for all began for me when I was 18 years old, and I consider that being open and listening, especially to the ones who loves us, is pivotal when our mind is infected by our mind’sdelusions and/or negative alien programming. I share this with great love and I hope it can help for the ones who are open to finally see they were following their mind delusions or were under the negative agenda manipulation, instead of receiving true guidance. There are many signs that can indicate us that we are being manipulated by negative forces or simply by our own egoic mind. Inability to discern from where they obtain their guidance. As many of you will know, we all begin to walk a path in which we must learn to discern if what we are receiving comes from a place of love or from one that tries to manipulate the self. When true guidance is received, there will be no judgments, no praise of the egoic self, and above many other things, for I can only share the main ones, there will be no talk about others, unless we have their permission, and even though, our God Self, Source and/or Guides, as you prefer to call your own fountain of guidance, will never trespass our free will or that of others. It is essential that we understand that our God Self or Guides, are there to respect our human will and soul plan, they will never tell us what to do or what is going to happen, or simply share personal details about others. It is true that energy introduces us. However, one thing is what we feel about certain people and another one is to believe we are being told their entire life. When this occurs, the information is usually very manipulated and of course fake and it is not just our egoic mind creating fake guidance but it is often filled with lower astral information or in some cases influenced by negative beings. There is nothing wrong or shameful about being there, for like I said, we all need to experience both to become aware what is an authentic source of guidance and what is not. This is what duality has that it teaches us to compare and discern for ourselves. What is important is to begin acknowledging that our mind has been manipulated by our ego and many other forces that are not coming from a respectful space and clear our mind. When we leave expectations and attachments behind, and the necessity of what is going to happen, in the future, as if we were mere puppets moved by a capricious god, who do not create our destiny, is when we finally are open, for we have emptied ourselves of all that was an illusion, to receive authentic guidance, one that will be, always, loving, respectful, with ourselves and others, for highly evolved beings as well as our God Self - will never share details like this about others, this is egoic and human gossip, and we will finally realize the difference, for it will be also strongly felt. Black magic, understanding by black magic everything that involves conscious manipulation of others and/or entering into other’s personal space without their consent. There are many forms of black magic, for all that involves trying to manipulate the outside world and/or others, is for me, black magic. I am not judging and saying this is bad, I simply must to label what I desire to share. To set my own example, I used to be a wiccan in the past, although first I was raised as a catholic. I do not desire to name as "wrong" these religions, for they have taught me the most important lessons I could have ever had in my human life. However, it is important that we understand that these are not just the only ways of manipulations, there are others that we tend to skip simply because we are accustomed to them. I have to say that I am not saying at all that Wiccans are black magicians, there are many who practice their love and respect for nature as I did, although at some point I did not as well, and there will be others, as I know, who will believe they have some influence in other’s actions. I respect everything and I share this with great respect, but this is not how highly evolved beings will behave, this is another form of human delusion, we can never control others or make them stop or not doing something simply because it is not pleasant to us. When the human thinks he/she can manipulate or change the course of another life, then the mind is not healthy, and I understand there will be many evidences for these people of their success in their tactics but with time, they will see they only damaged themselves. We have now, all of us, a wonderful opportunity to keep releasing old patterns and beliefs which diminish ourselves, for most of the times these fake beliefs are what impedes us to liberate ourselves from feeling disempowered. Black magic is not just done by damaging others with certain rituals. Black magic is done when our egoic self believes is bigger than the Divine Plan and then we play god by trying to impose our will onto others. When we judge, when we send a negative thought to another, when we wish something less than good to other person, then we are, whether conscious or not, possessed by our mind’s delusions and exercising lower practices than in the end will come back to us in forms that we will not like. Another aspect of black magic is to tell people without their consent things about their personal lives, which at least in my case are not true at all and are just coming from a mind that is obviously not healthy. When our mind’s imaginations become a reality for us and we project that upon others, then we are allowing ourselves to be controlled by our egoic self who thinks that knows more about others than themselves. These people even claim they receive guidance from God, and this is one of the main signs that one is not truly receiving true guidance, for God will never share anything about any other person, especially if this person has not even consented it. God respects, God loves All, as equal, God does not play games or gossip, for God does not mind the human games we pretend to play here in our plane, for what this Infinite Intelligence is remains still far away from our human understanding, we are just beginning to learn how to live within Divine Love, so pretending to know all and play god will only slow our evolution. When the ego believes he has become god, then we have to clear our mind and begin to work on humility and respect towards others. Narcissism disguised as fake self-love, spiritualism an excess of feminine essence, which is a rejection of the masculine. It usually leads the person to live in fantasy and unreal world, where the tangible is not important, and hence, lack of abundance, and inability to sustain themselves in the physical, are one of their main issues. It usually happens with traumatic experiences with the masculine. What is important is to becomes aware, which is hard, sometimes, but that can be done when one become the eternal witness of our human experience and listen to others who love us who could be really helping us to see the reality. It is also essential that we begin to love and be compassionate with ourselves if we have realized we were not truly receiving authentic guidance, for the mind also needs assistance, as any other part of who we are, and there is nothing wrong with this, we just need to remember this is also telling us something about ourselves and that we have the opportunity to listen to the new knowledge we are being offered and learn from it. As many of you are already experiencing, during this intense and transformative phase, there are many who are beginning to descend new aspects of their soul mission for the more we work on our egoic self, releasing old layers as well as habits/patterns, the more that we will be allowing these aspects to be fully integrated within our being. There are many, and I include myself, who have fulfilled a part of our mission, so to speak, and are now ready to activate new aspects, for this is not just about our personal journey, but about what the Planet requires. For some, their new soul role will involve to physically move, especially if they are now meant to act as gatekeepers, gridworkers, portal openers etc. For others, it will be more about stop acting and being, for it is by their essence that they shift/heal certain physical spaces, or simply about shifting what they have been doing until now and use different tools and ways to perform their tasks. As you embody higher levels of consciousness and as Gaia will continue its ascension, there will be many things, in an accelerate way, that will change within and in our physical lives. In my personal journey, even though I am still a stabilizer, for it is in my nature and in my own essence, I have fulfilled this task where I used to reside, and even though I was not conscious of it, until the right moment came, I felt for a time as if I no longer had this same mission anymore. When this occurs, trusting that when we are ready, we will obtain more clarity, is pivotal not to fall into egoic delusions such as thinking that we are not enough that our life is going to end simply because we have fulfilled a part of our task here on Earth etc. It is important to always surrender and trust that we will be placed where we are needed and that when our human self is ready, we will know what is our new task and how can we develop it. Forcing it, pushing ourselves to do or be more, will not serve, for we will be impeding the descension of these new aspects. Instead of wanting to do more or feeling inadequate, take a time to simply enjoy and do other things that your soul is also eager to experience, in this physical reality. Before we are ready to embody and be fully conscious of the many different aspects of our mission, first we need to work on soul integration, for if we have not yet integrated more light from our I AM Presence, if we still have soul fragments dwelling in pain, due to past traumas or painful relationships or other wounds, there cannot be integration of these new soul mission aspects. After this first step, there are other such as cellular and genetic/karmic patterns clearing that must follow before we can be ready to master a new aspect of our mission. There are many aspects of our soul mission, even though it is only one, it holds many aspects and we can only develop them when we are humanly ready to do the sacred task that our soul planned for us to fulfil here to serve All. Being patient is another important factor to take into account if we are integrating or wanting to do so, for there are many who desire to be or do more, when it is not the time to do yet for they are still preparing their physical bodies and selves, until they can truly understand this new information, and other times, people like to compare themselves with others and what others do to assist, idealizing their soul roles and wanting to do what they do, which is another important reason why many people still do not really know what they are here to do, because they have been focusing in being who they are not, and as a consequence, they have been blocking their true gifts to come to the surface. We are at a very special moment within this year of acceleration and it is now, especially with this fiery galactic wave, that we have the cosmic gift to release and integrate in a higher level, for we are now dwelling in a lighter dimensional space where aligning with its frequency, will help us to clearly receive the new aspects of our mission that shall be integrated to be of further assistance. We begin this new energetic, and fiery month of August, with a message of culmination, and hence, the subsequent integration of the new wave that is already strongly felt. This month is a very powerful one for us to create a new path. To confirm where we are in our ascension journey, for we find ourselves navigating within endings and beginnings, this month is a Universal 10/1 number - 19 reduced. This is the space in which beginnings and endings find each other, it is precisely in that infinite space, where we dwell in possibility, that we can choose the timeline, and the creations, that are most aligned with who we are. In Tarot, the card that represents number 10 is the Wheel of Fortune, which represents the change in destiny, that we have been able to accomplish, one that we have consciously created ourselves, and that only we know if the change that we have created from within will lead us to a higher space or to a lower one, for no one can ever predict where we are going but our own selves. At a cosmic level, we begin this new month with Uranus, turning retrograde just at the very beginning of this month, on August 7 - acting as the catalyst of this great change in which, we all are consciously immersed. As many of you probably know, I no longer choose to foment the retrograde illusion, so I will share my personal view, and essence, of what Uranus means to me, and my journey. Uranus' frequency brings the gift, for those who choose to align with it, of looking at things from a different, and higher, perspective, being able to see things that our limited mind impeded us to realize before. Limited and hence fixed ideas, are precisely what keeps us from experiencing reality as it truly is rather than as our human mind makes it. Are you ready to embrace freedom? For with freedom comes the need to release an old self, and life, and there are many who are still reticent to leave behind who they have been for so long. Are you ready to finally leave a familiar world with familiar faces behind to embrace the unknown? If you really are in this moment, many people will relocate, others will pass through a phase of deep silence, until they learn how to adjust themselves and physical reality to their new frequency. All is heading always into the right space for us all. There is no need to force or to run to reach to a certain destination, for you will always have the opportunity to evolve. On August 11, there will be another cosmic dance between the Sun and the Moon. For we are welcoming, again, a New Moon Solar Eclipse at 18 degrees Leo. This Eclipse will sweep away everything your old self-created, timelines, old situations, encounters, when you possessed a lower level of consciousness. As the Eclipse will be influenced by Mercury, "retrograde", this will also give us the time we need before initiating change to commune with our soul and regain the proper wisdom required for us to create from a conscious state of being rather than from a delusional egoic one, which is often the main reason why many of our creations are not aligned with our desires. However, this is what we came here, to master our inner creator, in the physical. As Mars "retrograde" will enter into Capricorn the next day of the Eclipse, we are being urged to create change in whatever aspect of us or area of our live that needs it, for this Warrior energy together with the fiery ones from Leo and the earthly ones from Capricorn, reminding us the importance that directing this inner force into our tangible plane to create change, has for us humans. On August 19, Mercury, will turn direct. As you know, I do no longer share much or feed this illusion, however, as astrologically it is important for many, at least, the least I can do is sharing the date in which this human illusion disappears from our physical plane and become "direct", again. In my personal experience, when I released the fear or Mercury retrograde, for behind every limited belief, there is fear, all began to flow whether Mercury was retrograde or not, for this was never real to begin with and by fomenting this collective belief, we are only limiting ourselves more and creating the so called " negative outcomes" and/or slowness in our human experience. In this same day, we also have another important event, Jupiter trine Neptune, a trine that has been happening since December 2017 until August 2018. As the Planet of Expansion, Jupiter enhances the essence of Neptune which is one of spirituality, intuition, high ideals and a deep sense of working for the community, in a selfless way. This is also a gift for those who are on a soul quest, and desire to know more about how they can be of greater assistance. This is also a time for special mystic and soul encounters whether they occur in the physical or in our dream phase, for this is a magical corridor that will lead us to the Illuminated Realms, if we are willing to align with this heavenly frequency. On August 23rd, the Sun will enter Virgo. When the Sun shines a Light into Virgo, we are called now to ground ourselves and direct our creative power into our earthly Plane, which is something we have been doing for a while with these powerful and abundant Leo energies. As an Earth sign, Virgo reminds us we are here to manifest our true desires which at the same time, will always be of assistance. For Virgo is quite aware of its mission, which is always to be in service to All. Virgo will bring purity, something we are all beginning to experience as we are now near the Higher Realms. It invites us to remember that the purity we hold within can also be reflected into everything we do in our dense realm. And even if this sign can seem practical, its main essence is all about remembering we are here to combine what we create from the inside with what others may need in the physical, for we are here to synthesize and unify both polarities, both planes, the physical and the ethereal - bringing all these inner visions into our tangible realm, as it is only by doing that, that we can truly master ourselves as creators of the physical. We end this powerful month with a no less intense Full Moon at 3 degrees Pisces and with the Warrior Mars turning direct, again. This will be a very powerful and fortunate Moon, for its Grand Trine which involves the Sun, Saturn, Uranus. This Moon brings soothing energies after the intensity of the fiery ones we have been receiving during all this summer, and gives us another opportunity for working on karmic release, as Pisces is the last sign of the zodiac, where we graduate from past experiences, keeping the knowledge within and stepping into a new path of conscious creation and self-empowerment. Beloved seeders of light consciousness, coming back unceasingly to spread the unique light that you are, raise, for it is time for us to begin the seeding that we began eons ago and that was impeded by the dark forces. We have never decayed. We have never lost hope, for we knew one day the many souls trapped within a manipulated 3D matrix will awake, and as such so it has been. It is time now for us to be, not do, for it is in being that we do our purpose, the light emissaries that once chose to volunteer for the sake of this Planet. We, the ones who consciously decided to come, may not have an easy path, for within this dual plane, we now navigate in both dark and light frequencies, but we will always have the remembrance of Source within, and its infinite loving embrace, at every single moment of our human existence. Every time that you are trapped by your human fears, challenges and/or other dramas from this human reality, remember, you have waited a long time for you to allow yourself to fall into human distractions. You by yourself are powerful and wise enough to leave behind what diminish you, embrace your true potential, and raise as the Divine Being, and Emissary, that you are, capable to change the frequency of the Planet so it can regain its lost purity and loving essence. I AM an infinite spark of All That Is and has ever existed. I AM Divine Intelligence incarnated into a physical body for the purpose of conscious co-creation and assistance to All. I AM the light that brings clarity to the illusory human mind, where I now dwell. I AM pure light consciousness transforming a fear based Planet into a free, sovereign, one.